I love this book, and I love Dorothy Whipple! I wrote my master’s thesis on another one of her books, The Priory. She is a lovely author and should get a LOT more recognition. Yes, I agree. I hadn’t heard of her before ready A Jury of Her Peers. I have also ready Greenbanks and will review that soon. 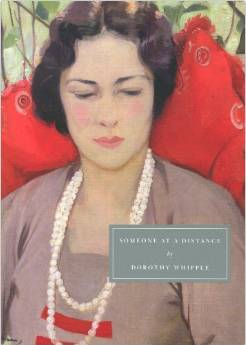 I love Dorothy Whipple having discovered her through Persephone Books. I got three for my birthday. High Wages, Because of the Lockwoods and The Closed Door & Other Stories. Oh, boy! Nice gift! I have just discovered her, so I haven’t read any of those yet. Just this one and Greenbanks.